1. Player A plays into the 10x10 sq you have 2 touches to finish iin big goal. 3. 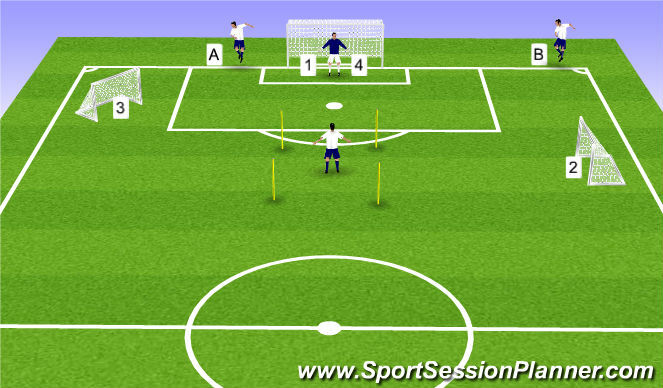 Player A plays in you have 2 touches to score in goal 3. 4. Player B playes in and you score from the cross inside the box.